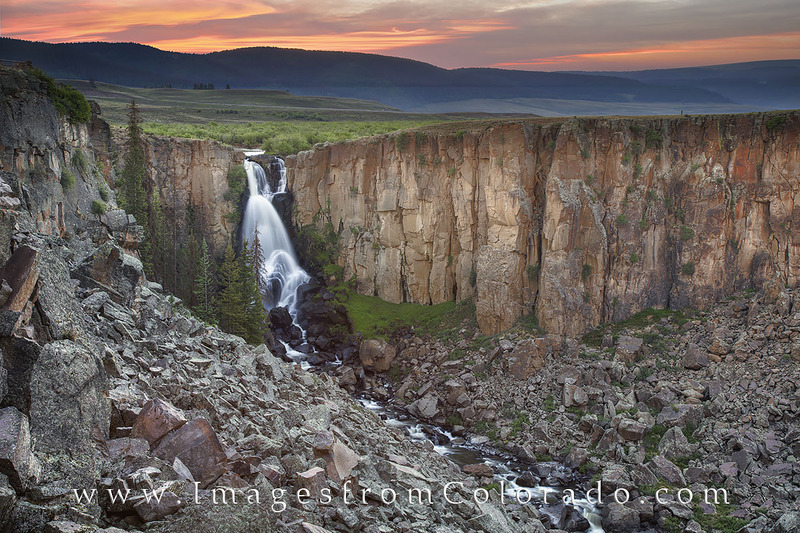 At about 10,000' in elevation, North Clear Creek Falls is one of the most photographed waterfalls in Colorado. This image was taken on a trail that winds to the canyon floor and offers a wide angle view of the area. It is just south of Lake City and worth the drive to explore this beautiful area. Photo © copyright by Rob Greebon.